I’ve just returned from a holiday to Canada. This is probably the last holiday I’ll take before I submit my thesis next year. It is nice to have a break, but I did end up also thinking a little about my topic. When I was in the temperate rainforests of British Columbia, I came upon an Ecology Centre, in Lynn Canyon Park. Mainly aimed at school children, it nevertheless contained some interesting things. 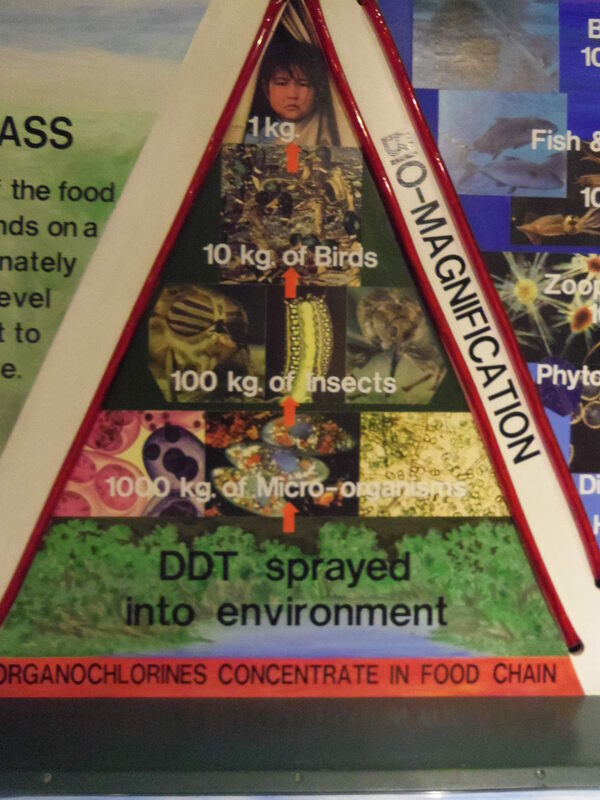 One wall, dedicated to different biological processes contained information on DDT and with it also information about the effect of pesticides on wildlife. This included, of course, reference to Rachel Carson and Silent Spring. 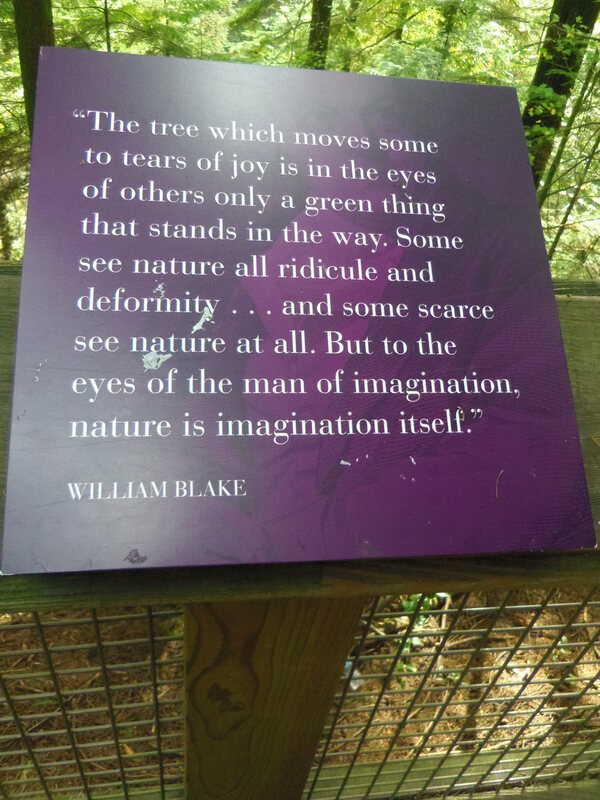 Also in the forests surrounding the Capilano suspension bridge, there were many quotes about trees. My final chapter deals with environmentalism in the early 1970s. One of the issues I discuss is ‘Plant a Tree in ’73’ where the government encouraged people to plant trees. This was partly due to combat disease, but they also recognised the benefits of trees to the natural environment. As part of the PGR Symposium here, which involved humanities PhD students presenting papers to our peers, I am tasked with giving a paper in November. I notice that last August I wrote a piece on here about anniversaries. Well, November 2013 also happens to be the 50th anniversary of the long-running science fiction programme Doctor Who. I’ve already – briefly – blogged about Doctor Who and Silent Spring here. I will also be adding to this, talking about Silent Spring, and another Doctor Who story from the 1970s, ‘The Green Death’. This story does feature in my thesis and is discussed alongside the BBC science fiction series Doomwatch (which aired between 1970 and 1972). This series has many close links with Doctor Who as the creators of it also worked on Doctor Who in the 1960s and it is they who created the cybermen. Doomwatch was popular; many viewers thought it more science fact than science fiction and it covered many contemporary environmental issues.